2013 was a busy year for ON; we worked on over 200 projects; shot hundreds of hours of video content; secured some of the hardest to reach media for our clients and continued to grow our talented team. Yet somehow, through the mayhem, we finally managed to enter an award (and it only took four years to find the time!). 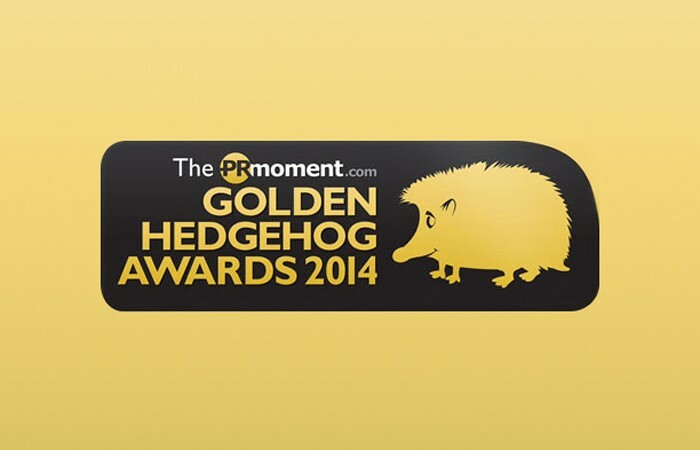 ON has been shortlisted for ‘Best Media Relations’ campaign at this year’s PRMoment Golden Hedgehogs awards. The awards celebrate excellence and reward outstanding campaigns in the PR and Communications Industry. The project nominated is Cats Protection’s ‘Cat Behaviour survey’, a study that showed cat owners don’t know their purring from their clawing. We were brought on to help shape the story, create some engaging content and ‘get it out there’… we didn’t disappoint. We created a series of videos themed, “Purrs of wisdom: Understanding the language of Cats” to underpin all of the media activity. Their report and the video has been featured on: BBC Breakfast, Mail Online, Times Online, Daily Star, Yahoo! News, ITV Online, Talk Talk, Telegraph Online and the video we created has been watched an incredible 752,446 times. We have all our fingers and toes crossed and hope we’re onto a winner!